The book launch of Walter Burley Griffin: the Architecture of Newman College, 1915-18 by Jeffrey John Turnbull will be celebrated with speeches, accompanied by light refreshments and book sale. Walter Burley Griffin, when writing on Christmas Day 1915, about his conception for the new Roman Catholic College, emphasised the user’s experience of facilities and functions of the proposed building. As an artist, he did not reveal his design method, but alluded to some ideas embedded in the plan and the character of the new building and its landscape. Turnbull's new book is in two parts: 1. Specific, an exhaustive description of functions, facilities, their sequence, and the construction process; 2 Form, explores Griffin’s ideas and their realisation in the architecture. Researching the origins of those ideas gave it its meaning, as a new place of dwelling and learning. Jeffrey John Turnbull is an Honorary Senior Fellow in the Melbourne School of Design at the University of Melbourne. He studied architecture and town planning in the Faculty of Architecture Building & Planning, 1955–60. During 1961–62 he gained a Master of Architecture at the University of California, Berkeley, where he was teaching assistant to Charles W Moore, conducting a new course in Oriental Architecture. 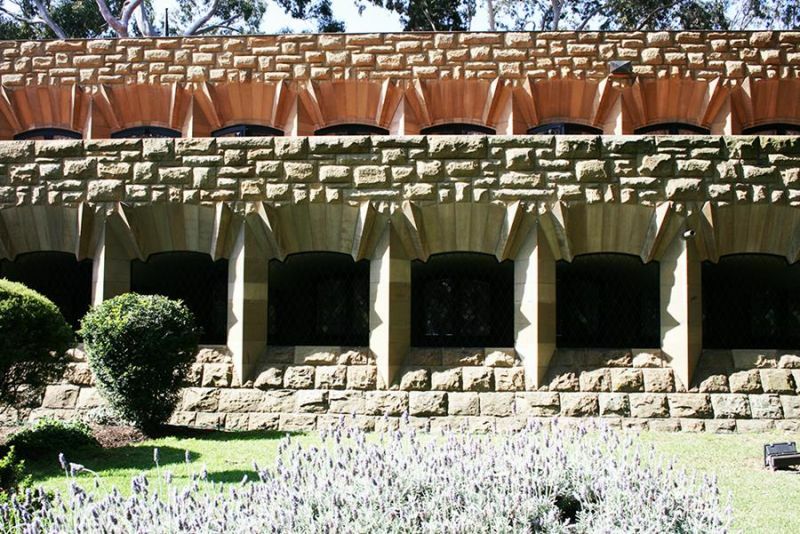 Turnbull then taught architectural history and design in the Melbourne school, 1964–2001. In 1988 he was the Griffin Visiting Professor at the University of Illinois at Urbana Champaign, Griffin’s alma mater, lecturing on the Griffins in Australia to American Institute of Architects regional and urban chapters, and at the Graham Foundation in Chicago. During 1994-1998 Turnbull joined with Peter Y Navaretti to publish a catalogue raisonne on the Griffins in Australia and India. Turnbull’s PhD was completed in 2004 on the subject for this new book.